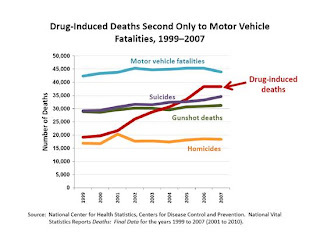 The Centers for Disease Control and Prevention has classified prescription drug abuse as an epidemic. 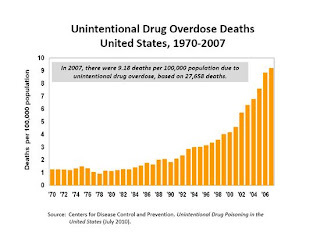 While there has been a marked decrease in the use of some illegal drugs like cocaine, data from the National Survey on Drug Use and Health (NSDUH) show that nearly one-third of people aged 12 and over who used drugs for the first time in 2009 began by using a prescription drug non-medically. Some individuals who misuse prescription drugs, particularly teens, believe these substances are safer than illicit drugs because they are prescribed by a healthcare professional and dispensed by a pharmacist. Addressing the prescription drug abuse epidemic is not only a top priority for public health, it will also help build stronger communities and allow those with substance abuse disorders to lead healthier, more productive lives. Education. A crucial first step in tackling the problem of prescription drug abuse is to educate parents, youth, and patients about the dangers of abusing prescription drugs, while requiring prescribers to receive education on the appropriate and safe use, and proper storage and disposal of prescription drugs. Monitoring. Implement prescription drug monitoring programs (PDMPs) in every state to reduce “doctor shopping” and diversion, and enhance PDMPs to make sure they can share data across states and are used by healthcare providers. Proper Medication Disposal. Develop convenient and environmentally responsible prescription drug disposal programs to help decrease the supply of unused prescription drugs in the home. Enforcement. Provide law enforcement with the tools necessary to eliminate improper prescribing practices and stop pill mills. Read the full plan: Epidemic: Responding to America’s Prescription Drug Abuse Crisis and the related action items. Or Watch a replay of the Prescription Drug Abuse Prevention Plan release event at the National Press Club. Over 70 percent of people who abused prescription pain relievers got them from friends or relatives, while approximately 5 percent got them from a drug dealer or over the Internet. 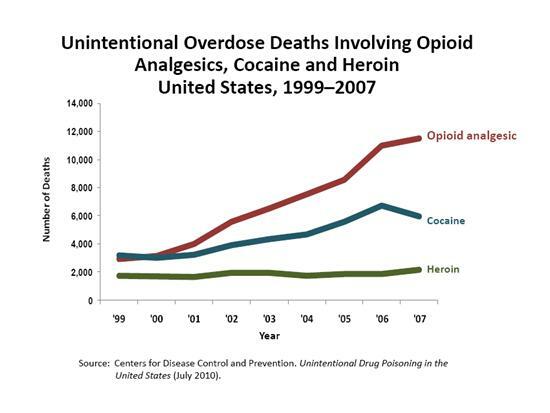 Opiate overdoses, once almost always due to heroin use, are now increasingly due to abuse of prescription painkillers. In our military, illicit drug use increased from 5% to 12% among active duty service members from 2005 to 2008, primarily due to non-medical use of prescription drugs. The number of prescriptions filled for opioid pain relievers – some of the most powerful medications available – has increased dramatically in recent years. 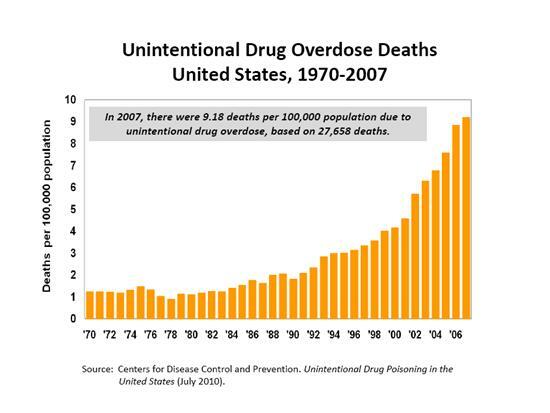 From 1997 to 2007, the milligram-per-person use of prescription opioids in the U.S. increased from 74 milligrams to 369 milligrams, an increase of 402%. In addition, in 2000, retail pharmacies dispensed 174 million prescriptions for opioids; by 2009, 257 million prescriptions were dispensed, an increase of 48%. 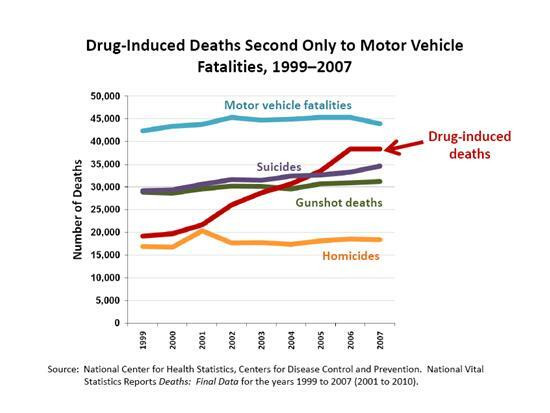 As the charts above demonstrate, these increases mirror increases in prescription drug abuse. 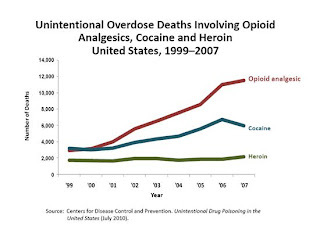 For more research and data, visit: Centers for Disease Control and Prevention presentation on Prescription Drug Overdoses: An American Epidemic (Video). Follow disposal guidelines: No matter who you are, you can help address this issue in your home. By following the guidelines, you reduce the risk of unintentional diversion or harm. Learn how to dispose of unused medicines, read the frequently asked questions about safe drug disposal, and get information on drug poisoning. Talk to your kids: It’s important that our children learn about the use and abuse of prescription drugs. For tips on having conversations with kids, read Time to Talk for tools to talk to preschoolers and grade-schoolers, Teen Culture or tips with teens, and view sample conversation starters. Take advantage of community take-back programs: Call your city or county government’s household trash and recycling service or your local police or sheriff’s department to see if a take-back program is available in your community. Seek treatment and support individuals in recovery: If you or a loved one needs help with substance abuse, find a treatment center near you today. Thousands of individuals who have struggled with addition have now living healthy and happy lives with the help of treatment and recovery services. Drug-Free Communities Support Program (DFC) – Funding hundreds of communities around the country, the DFC program helps communities identify and respond to local substance abuse issues. National Youth Anti-Drug Media Campaign – A campaign aimed at preventing and reducing youth drug use across the country by increasing teen exposure to anti-drug messages with a highly visible national media presence and on-the-ground activities, including a number of free online resources to help prevent teen prescription and over-the-counter (OTC) drug abuse.